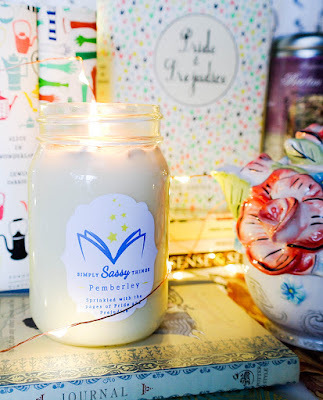 Bookish Lifestyle: Bookish Product Review: Simply Sassy Things Book Candles + 20% OFF CODE! 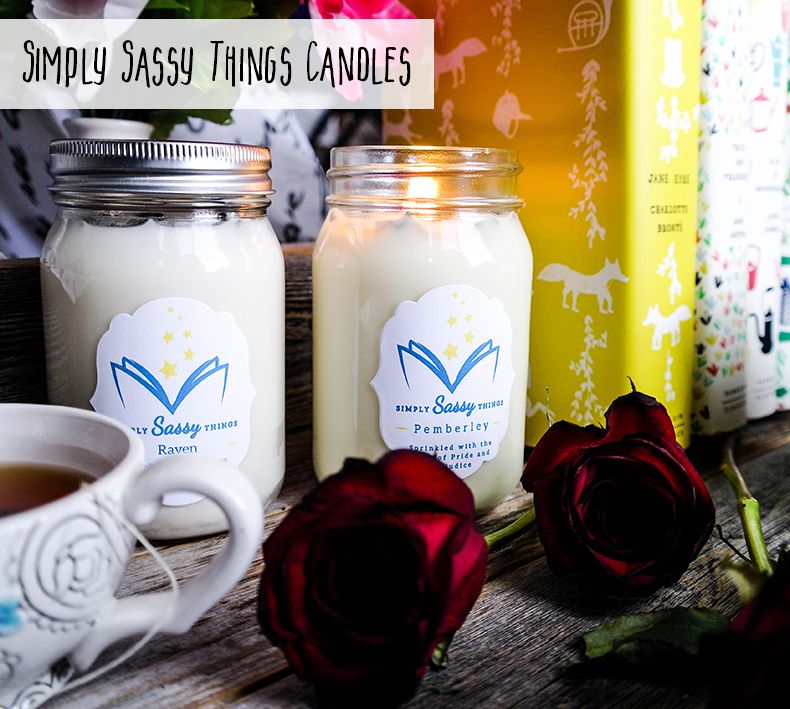 Bookish Product Review: Simply Sassy Things Book Candles + 20% OFF CODE! 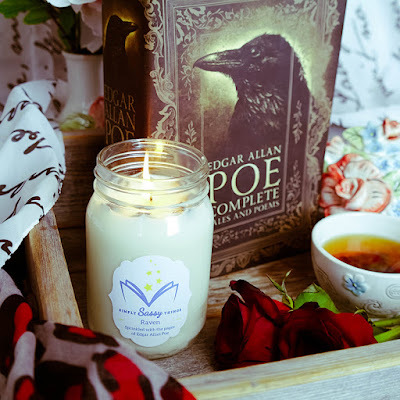 If you're a candle lover (like myself), you're in real trouble, because I'm about to introduce you to my new favorite candle shop - a BOOKISH candle shop that - wait for it - also sells other bookish goodies (like jewelry)!!! So take a deep breath, brace yourself, apologize to your wallet in advance - and say hello to Simply Sassy Things! 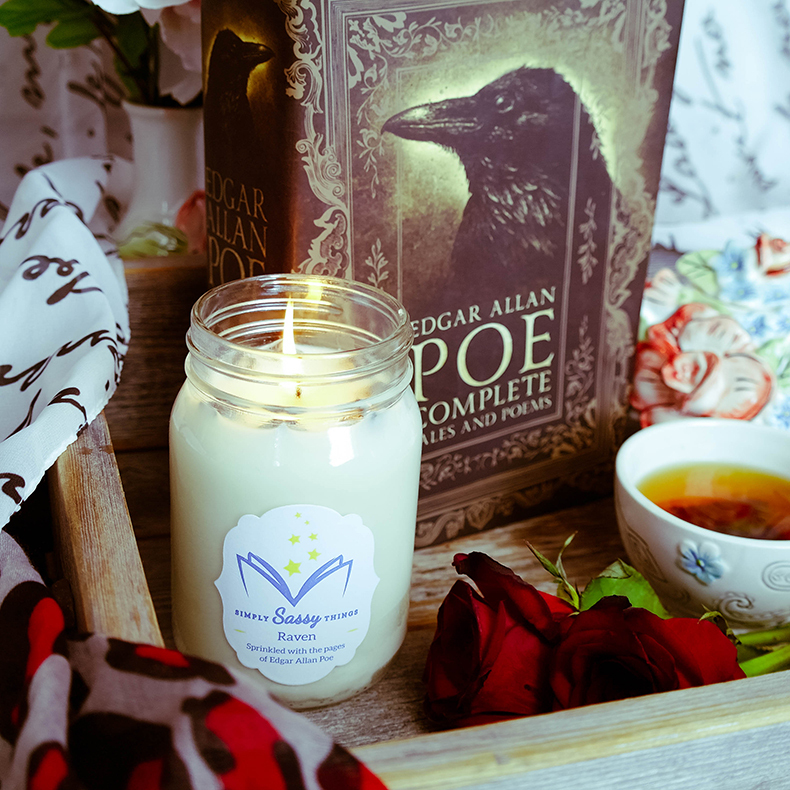 I received two candles from the awesome folks at Simply Sassy Things: Pemberly and Raven. I got them for an Instagram feature (you can check out my photos at EvieBookish), but I fell in love with them so completely, I decided to also spread the love via blog! Because, hello, they are AMAZING! 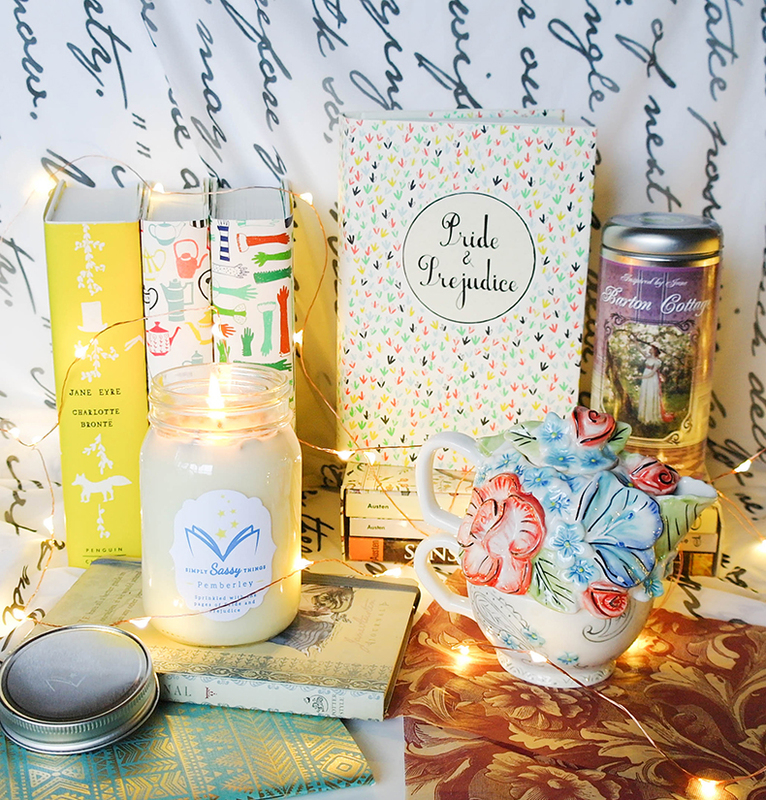 This Pride and Prejudice inspired candle is by far my favorite thing in the whole world. No kidding! It smells DIVINE. It's an English Garden scent and it's heavenly. 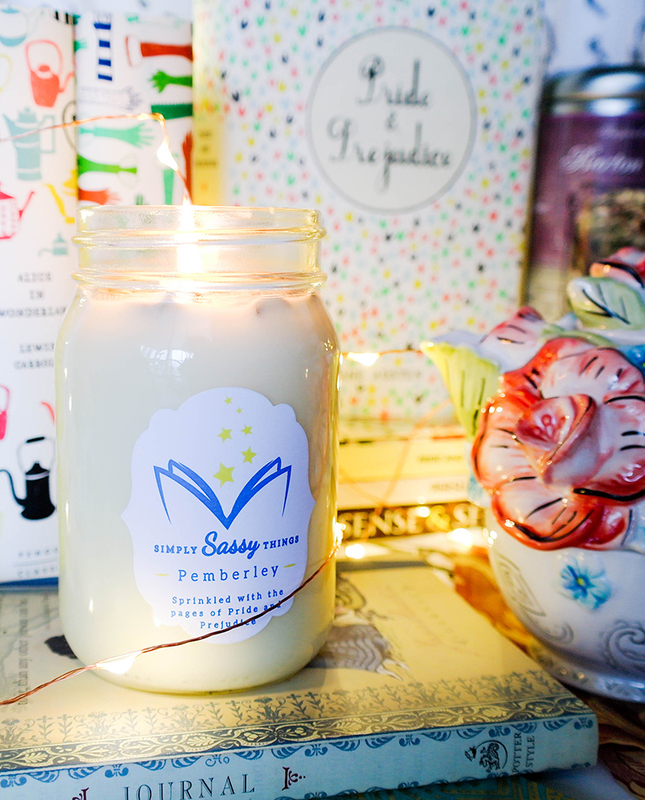 If you ever had the chance to smell the Jane Austen Library candle, it's a very similar (if not identical) smell! The candle burns very clean (it's a soy candle) and the fragrance spreads throughout the room even before you light it up! And what's even more amazing, when the soy wax melts, the stars start floating around!!! So cool!! I love it!!! My candle came in a sturdy glass jar with a cute lid. 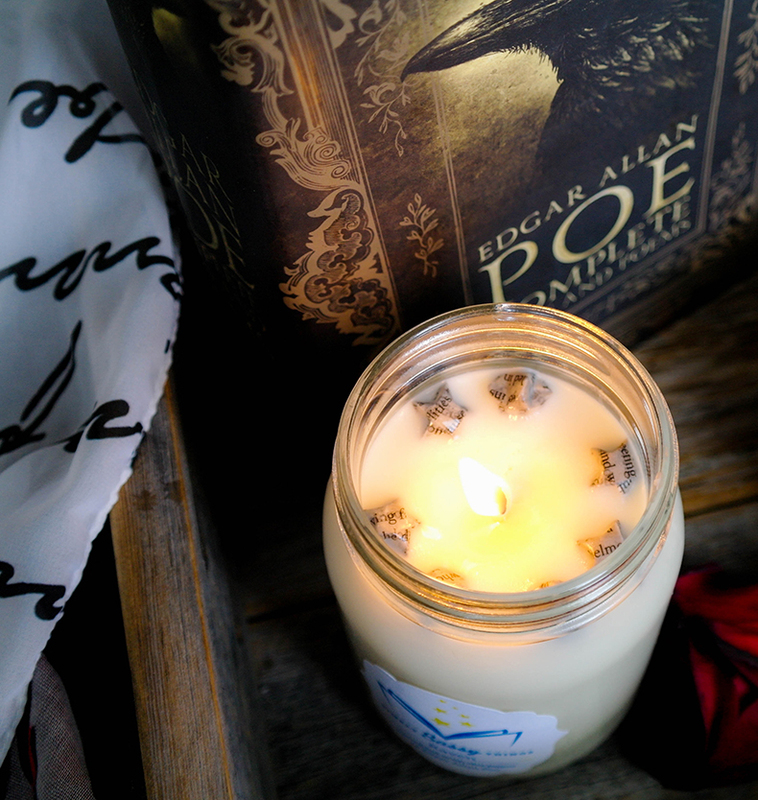 I have to say, I really love that this is a jar candle, it gives it a kind of classic look that goes well with literary classics! These are only two of many candles available in the Simply Sassy Things store. 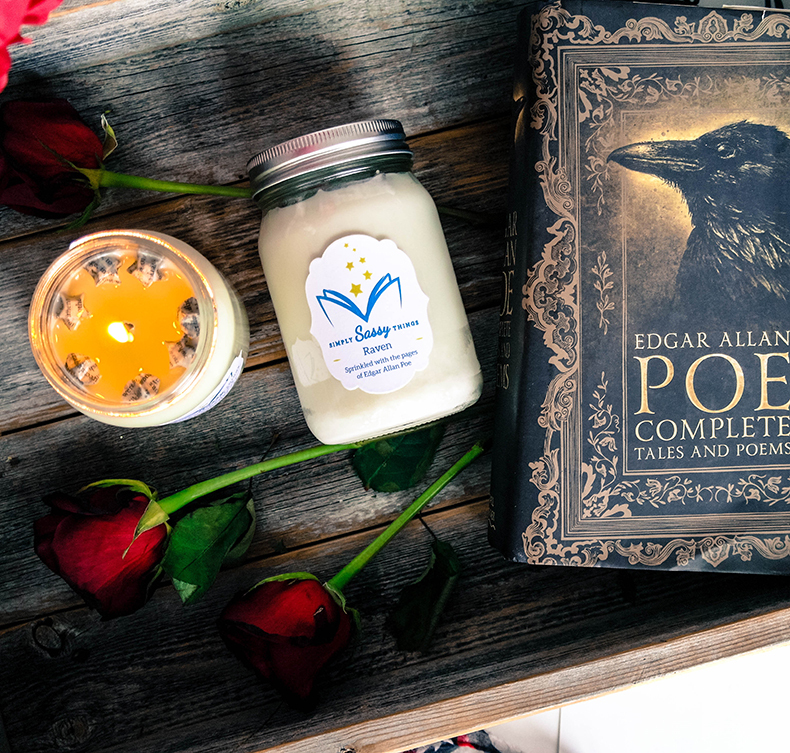 If you go to their website, you'll discover a whole collection of book-inspired candles, from literary singles, to couple candles! There's, of course, Harry Potter, Game of Thrones, Gone With the Wind, The Hunger Games and many more! Each soy book star candle is hand poured in North Carolina. 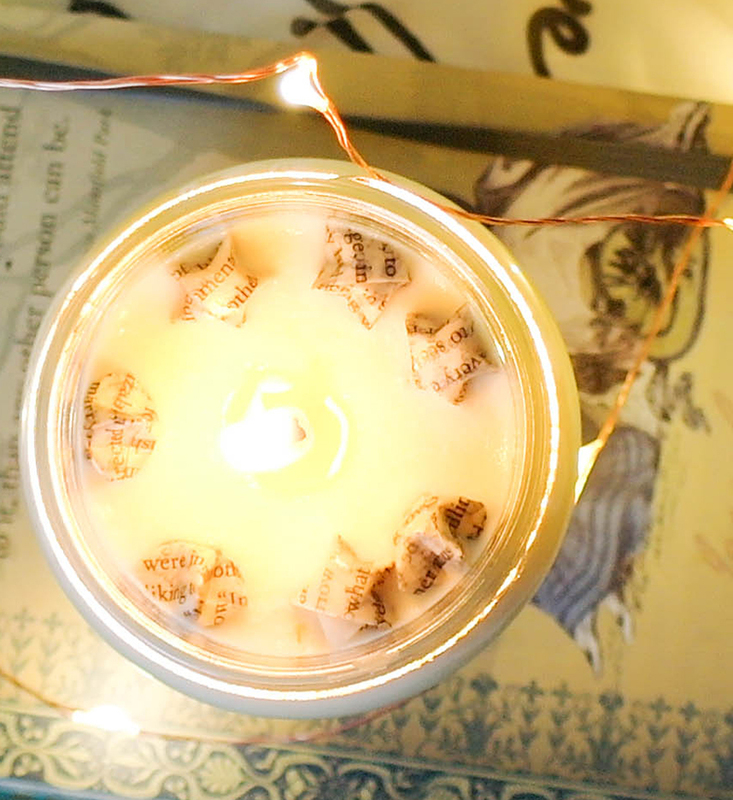 The book stars will float around as you burn your candle. *Soy wax is non-toxic and burns cleaner than paraffin, with no petrol-carbon soot which can blacken walls, ceilings, and furniture, contaminate ventilation duct work in your home, as well as add toxic carcinogens into the air you breathe. I have a special discount code exclusively for Bookish Lifestyle readers! To get 20% OFF your order, use EVIE20 at checkout!! !